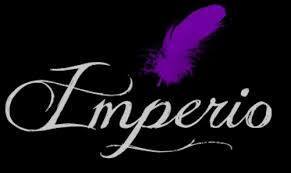 Empire Liberal a place where you can enjoy being yourself freely, where you will not be judged, respect and confidentiality are a Reality. A careful service of our team of Public Relations, cleanliness and Good Treatment, are our motto. VISIT us and you will repeat for sure. WE OPEN ALL DAYS. Come to know our community. Good Treatment, a Pristine Service of Public Relations and Cleanliness are our motto. ENTRANCE AND BAR Exclusive for Couples. 16 ROOMS: To choose where to enjoy the evening. JACUZZI: To enjoy the whirlpool well accompanied. 6 BATHROOMS: Distributed throughout the premises, 4 showers. * TAQUILLAS: For your personal belongings. * WARDROBE: Where you can leave your coat. In a place of Easy Access and discreet, only 10 min. From the center of Seville, with easy FREE parking.